At least four people have died following a test flight accident in the Spanish peninsula. 11.05.2015 - It seems that the new Airbus A400M developed a fault just after take off and reportedly hit a power line as the pilots tried to bring it in for an emergency landing. All six crew on board were said to be Spanish Airbus employees, the remaining two are seriously injured. The accident happened north of San Pablo airport close to the Airbus assembling plant. The large transport plane is in the order books for eight countries including Spain, replacing the aging Hercules fleet. The plane that crashed was due to be delivered to Turkey. 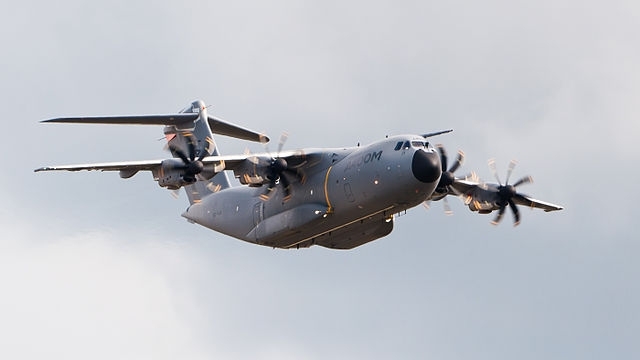 Spain is due to take delivery of the first of the 27 planes they ordered next year and the British Ministry of Defence has temporarily suspended use of its two A400M aircraft until more is known. Produced with news.CMS in 0,0722 seconds.